As the title states, we’re ready to rock! 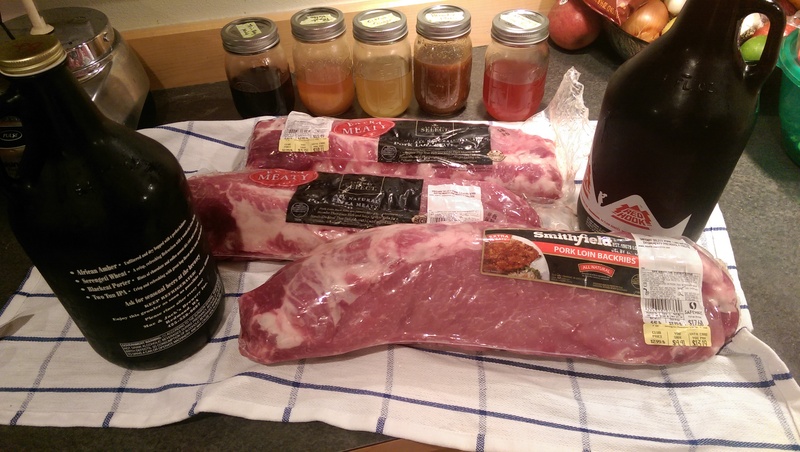 I’ve got three slabs of ribs in the refrigerator, waiting for their special dry rub. They’re sharing a shelf with two growlers of delicious Iron Horse IPA. And – of course – my remaining infused vodka’s are ready to go!